Recent excavations at Warwick have found evidence of Neolithic people living in the area. Since then, it was a Saxon settlement, afforded protection to William the Conqueror and his army, and survived The Great Fire of 1694. The town boasts buildings from every period of the last thousand years, even though the Great Fire of 1694 shaped the town centre. The Fire started on 5th September 1694 behind the Friends Meeting House on the High Street. It lasted six hours, but left a third of the town’s population homeless and destroyed many timber-framed buildings. At the time it was a great disaster but led to a grand rebuilding programme. In 1725 Francis Smith, master builder and architect, built the building which is now tourist information centre. His other buildings include the civic assembly rooms, and the Warwickshire Yeomanry Museum. In Castle Street is a fine timber-framed building that pre-dates the Great Fire, Oken’s House. This was home to Thomas Oken, the town’s greatest benefactor. The building dates from the early C16th and is now tea rooms and a shop selling local produce. On the High Street there are a number of fine buildings that date from around the time of the Great Fire. Alderson House, dated 1695, is an example of a pre-Georgian residence. Warwick Unitarian Chapel, is C17th. One of Warwick’s hidden gardens is at the rear of the building. There is another in the grounds of Friends Meeting House. Around the town’s Norman West Gate is the magnificent Lord Leycester Hospital. Its timber-framed buildings date from the C14th and C15th and housed Warwick’s medieval guilds. In Elizabethan times it was a rest home for retired servicemen, known as Brethren. Adjoining is the Chapel of St James that forms part of the West Gate and dates from 1123. At the West Gate is a rare Doric column pillar box. Dating from the mid C19th century. 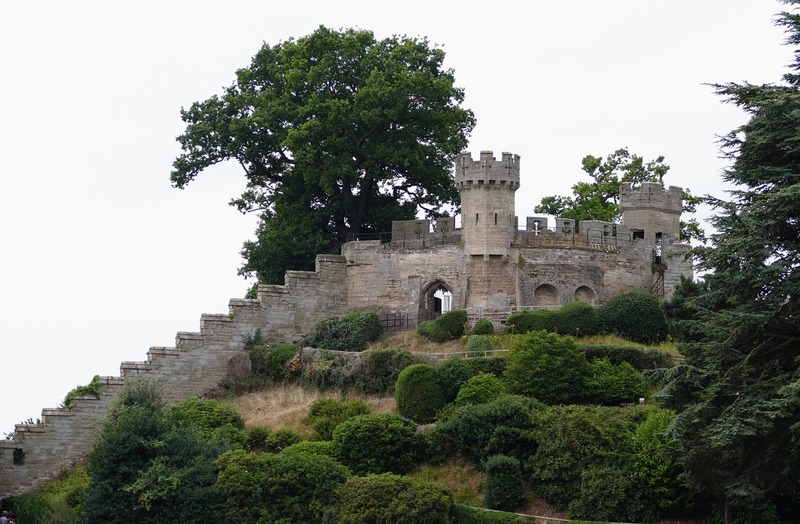 It is one of only eight surviving examples in the country; there is another close to East Gate. On Market Street and Brook Street, there are a variety of independent shops and tea rooms. Also, the Market Square provides more shopping opportunities, as well as some good pubs and restaurants. On Saturdays there is a popular open-air market. On the edge of the square is a statue of local boxer Randolph Turpin. He defeated Sugar Ray Robinson to become Middleweight Champion of the World in 1951. Just 2 miles west of Warwick is Hatton Lock on the Grand Union Canal. 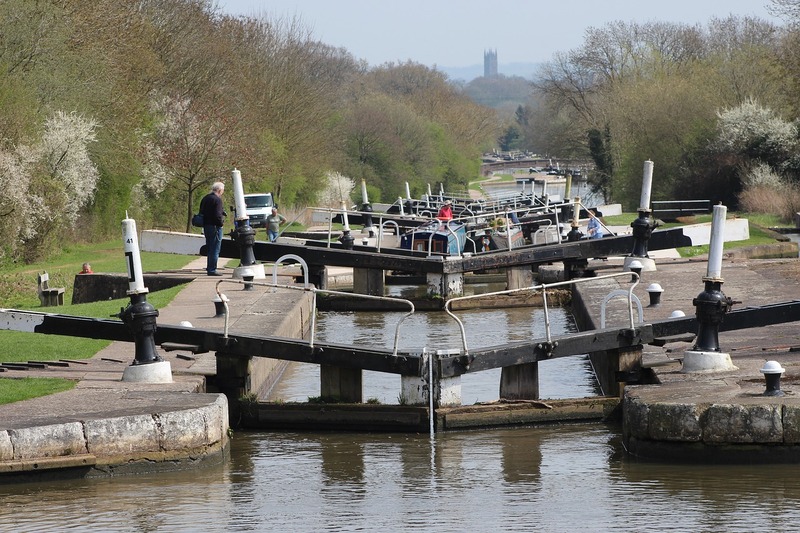 A flight of 21 locks which is poplular with walkers and cyclists. Click here for more ideas for things to do and for accommodation and restaurants in the area. Previous PostOswestry on the Welsh and English border is an old market town with a turbulent history. 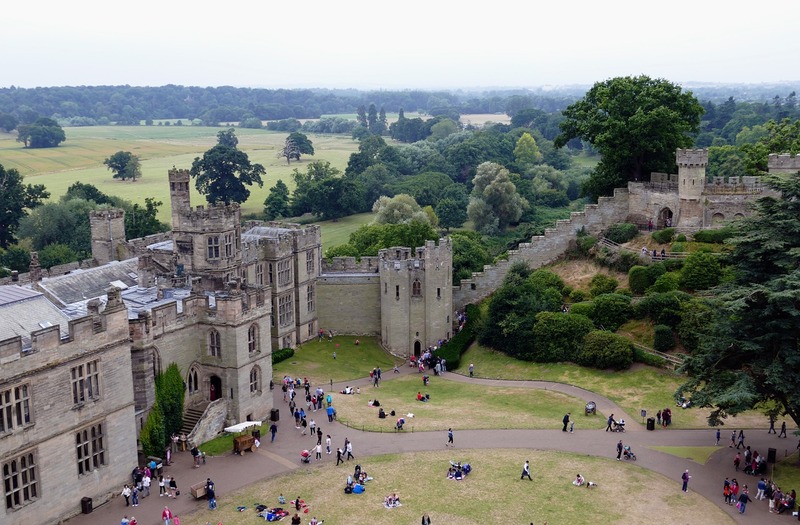 The home of Queen Gwinevere, the town is full of folklore and legend.